©2003 John Wiley & Sons, Inc (P)2012 Audible, Inc. This is the path where my feet know how to walk, it is my trail home. 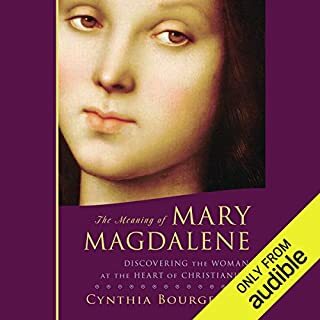 As I recently told someone, I've listened to so many books from Audible, that I've reached a point where there isn't anything I'm really dying to listen to any more. This has led to sort of a random approach to picking books, and, being quite hit and miss, a process which I equated to "diving for pearls." A bit of pearl-grading wisdom is, "pearls of poor quality can lose their beauty in just a few months, whereas high quality pearls can last a lifetime." In continuing our metaphor here, if this book were actually a pearl, in Japan it would be the Mikimoto pearl, or the "cream of the crop" of pearls. I fully expect the wisdom from this book to last a lifetime. In more mainstream Christianity, my favorite book is The Secret Message of Jesus by Brian D. McLaren. The Wisdom Way of Knowing is like the secret message of the mystics. The curious thing about The Secret Message of Jesus was, few things in the book were actually a secret. However, one of its strengths was that it cut through to the absolute essentials in a very clear and understandable way. This is also the case with The Wisdom Way of Knowing. In a mere 176 pages, Bourgeault said it exactly the way it should have been said. The mystics, be it Christian or other, are an elusive bunch and books on them are difficult to pull off. Part of that could be that part of the mystical experience is difficult to transfer into words. It is very easy to write about what Christians believe. It is pretty cut and dry. One could just start with the Nicene Creed and go from there. Next attempt to write about the path to Enlightenment. There is nothing cut and dry about it. Just try to put into words what it feels like to meditate, fast, or gain knowledge of your true inner self. One could only guess that is part of the reason there are far fewer books on Christian mysticism. This is rather unfortunate. In the Gospel of Thomas, which many scholars agree pre-dates the canonical gospels, Jesus says, "When you come to know yourselves, then you will become known, and you will realize that it is you who are the sons of the living father. But if you will not know yourselves, you dwell in poverty and it is you who are that poverty." I believe that, in westernizing an eastern religion, anything that even remotely resembled eastern philosophy, for whatever reason, was removed. In doing so, the "the intersection of timeless with time," as Bourgeault so elegantly put it, was also removed. If there is a question in the west, the answer lies outside. Jesus' call to look inside for the answer would surely fall on deaf ears in America, for none have ears to hear. 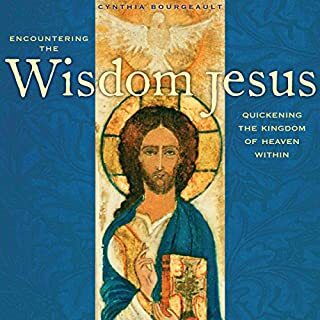 For those that do want to undertake the journey, The Wisdom Way of Knowing would be an excellent place to start (That could actually be another reason why there are far fewer books on Christian mystics. If the target audience is actually a very small percentage of a much larger group, there is probably more money in targeting the larger group.). One of the most unfortunate things about The Wisdom Way of Knowing, in my opinion, is the title of the book. 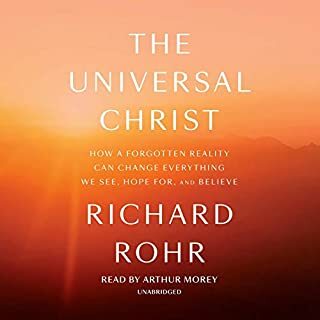 While searching Amazon and Audible -- like Neo pulling information out of the Matrix -- for books on Christian mystics, this book totally eluded me because of its ambiguous title in relation to the subject matter it contained. I found it only by accident, and then it sat in my wish list for many months before I purchased it. Would you try another book from Cynthia Bourgeault and/or Denice Stradling? What was most disappointing about Cynthia Bourgeault’s story? Her eluding to a transformational experience, never explaining what transpired. Have you listened to any of Denice Stradling’s other performances before? How does this one compare? I have never listened to her work although she reminded me of the narrater for the Somni in Cloud Atlas. Very precise and smooth flow to her narration. Yes, I appreciate that Christians consider alternatives to the mainstream interpretations. There were some nuggets I will carry with me such as the concepts of the heart being more than an unruly emotion driven burden. THis is more of a hint of what might be out there, as many Audible books seem to be. Missing the real meat of many subjects on here. 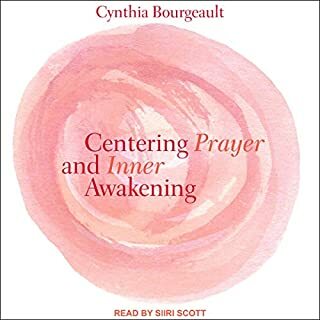 This was my first book by Cynthia Bourgeault. I found her through Richard Rohr's work. I am personally seeking additional guidance in how to live a deeper, more enlightened life. I found this book to be filled with beautiful images, soul inspiring metaphors, and profound insights. She draws on a vast array of traditions and provides, at least to me, a more spiritual and uplifting interpretation of Christ's words. I'm in the last hour of listening and I have been transfixed by the book. I love the narrator's voice and it has a wonderful richness to it. At times, however, I find her earnestness to be a bit off putting but it's a minor issue in an overall wonderfully narrated tale. I really hope the bibliography is available to us in one form or another. I highly recommend this book to those who are spiritual seekers, who seek uplifting words and inspiring metaphors to continue on the path. I wish I could say I had, but this book wasn’t what I expected. It was recommended by someone I respect so I went ahead. The first few words the author says are, “This is training” or something similar. I really don’t want training! 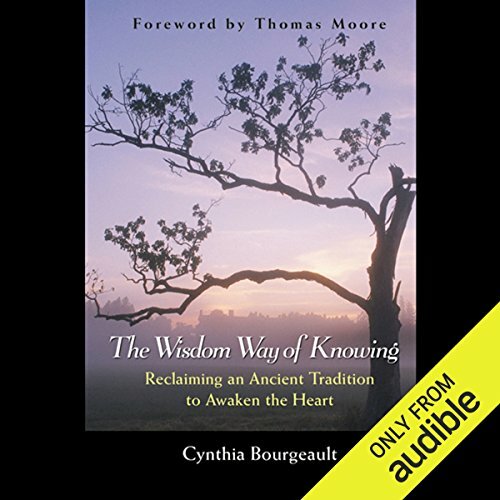 Where does The Wisdom Way of Knowing rank among all the audiobooks you’ve listened to so far? Cynthia Bourgeault is an amazing person and author. I have never read someone with such a deep understanding of the core wisdom of christiananity. She is truly a wise person who understands what real spirituality entails. 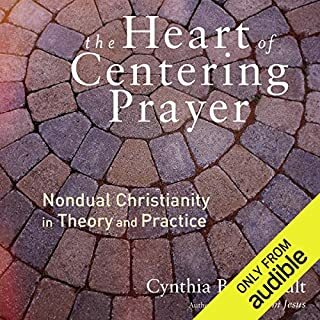 I would recommend this book to Christians as well as Budists or anyone interested in understanding themselves at a deeper level. 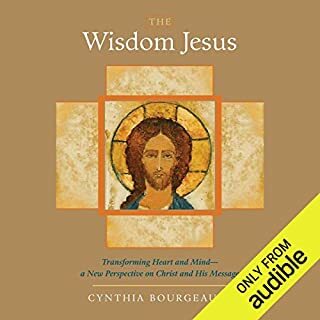 I bought this book because I had listened to the Wisdom Jesus and I really enjoyed that one. The wisdom way of knowing I thought was a bit disappointing. Maybe it's me but I thought this book promised more than it delivered. I was hoping to find and hear a practise that would lead me further on the path of wisdom. I didn't find that. I found the book interesting but it fell short I thought on wisdom insight. I was a bit disappointed.